Ephesians 5:19 – Silent Songs? When reading Paul’s encouragements to come together for prayer, you might expect him to recommend speaking aloud. Yet if you read the King James Version or the New American Bible, you would be envisioning something different, a silent experience of communal heart-song. With translation, as always, the devil is in the details, so let’s take a look at them. “If pressed, a true reflexive would mean ‘speaking to yourselves’ and the maxim would then be recommending inward praise during the daily life of believers (as, probably, 1 Thess. 5:16f. and Phil. 4:4–6). But the larger context implies corporate worship and interaction with other Christians (and this must be the sense at Col. 3:16, with its ‘teaching and admonishing each other’).” Muddiman, J. (2001). The Epistle to the Ephesians (p. 248). London: Continuum. Beyond this point, it is important to note that Paul’s conception of the Christian community as the body of Christ (e.g. 1 Cor 12) would cause him to talk about it as a communal entity. That means, when one members speaks to another member, it would really be the “body” talking to itself. Thus he uses the reflexive heautois and not the expected reciprocal pronoun allelon. Paul could either be recommending silent but quasi-musical praise of God in your mind or active, out-loud, enthusiastic, musical praise of God with your mouth and vocal chords. That’s a big difference! But what does that difference depend on? The way we translate either “in” or “with” in this case zeroes on the usage of the dative case. (Definition from Robertson’s grammar: “The dative is the case of personal interest [denoting advantage or disadvantage], corresponding to the English to or for, or indirect object.”) In this particular case we are dealing with the fine distinction between the “dative of manner” and the “dative of means/instrument” (using Daniel Wallace’s categories). The dative of manner describes the way in which an action is performed—as in “whether in pretense or in truth” in Phil 1:18. The dative of means/instrument, however, describes the instrument through which the action of the verb is performed—as in “she wiped his feet with her hair” (John 11:2). I would argue that here in Ephesians 5:19, we are not looking at a dative of manner, where all the singing words are internal and trapped in your heart. Rather, Paul is looking at the heart as a musical instrument of sorts, through which all songs and hymns must go in order to come out of our mouths. This usage would be a dative of means/instrument. He is not envisioning a crowd of Christians speaking to themselves quietly and humming tunes soundlessly, but of Christians gathered together and speaking and singing out loud. So next time you come together with other Christians for worship, make sure to open your mouth and sing! This entry was posted in New Testament and tagged Greek, Paul on October 3, 2017 by catholicbiblestudent. This is the finger of God is a literal translation. The expression finger of God, however, is usually understood to mean the power of God in the same way that “hand of God” is often used (for example, 3:20; 7:4; 9:5). This type of figure of speech is known as “synecdoche,” meaning that a part represents the whole, a finger or hand here representing the full power or the full person. And so this may be translated dynamically as “This is the power of God,” “This is an act of God,” “God has done this” (8:19 TEV), or “God has shown his power by doing this” (N. D. Osborn & H. A. Hatton, A Handbook on Exodus, [New York: United Bible Societies, 1999] p. 188). Ok, while the UBS Handbook goes on to discuss other possibilities, for example, that the magicians identified Aaron’s staff as the “finger of God,” here the idea of finger=power seems to work just fine. So far, there is no distinctions between “finger” and “hand” as far as denoting abstract ideas. 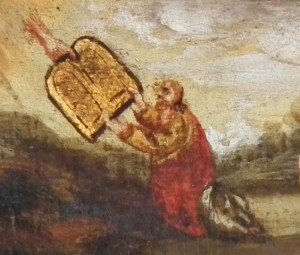 Yet if we jump ahead just a bit to Exodus 31:18, then we see that the stone tablets of the Ten Commandments are “written with the finger of God.” Here, rather than indicating raw power, the “finger” is connected with the activity of writing. The same idea reappears in a parallel discussion of the tablets in Deut 9:10. Here, one could equate “finger” with power, but I think it would be better to go with the poet and see God as setting the various heavenly bodies in the canopy of heaven, almost like one decorating for a party. The psalmist is not describing God’s capability to create, but his artistry, his dexterity, if you will. The next, and I think most telling, example comes from Daniel, where the “fingers of a human hand” (Dan 5:5) appear and write a terrifying inscription on the wall of the pala ce during King Belshazzar’s sacrilegious romp, where he and his frat buddies are drinking wine from the sacred vessels of the Temple. 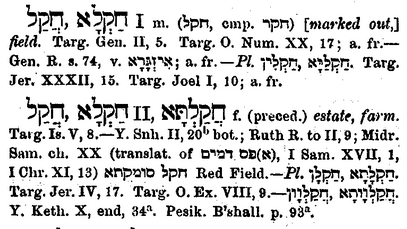 This divine hand writes out a death sentence for Belshazzar: MENE, MENE, TEKEL, PARSIN (v. 25). Here, clearly, the fingers of God are connected with the concept of writing, as they were in Exodus 31 and the stone tablets. Jesus uses his fingers to cure a deaf man (Mark 7:33), which seems to indicate they have to do with power. In addition, he refers to how “it is by the finger of God that I cast out demons,” (Luke 11:20). Here, we could easily equate finger and power: “it is by the power of God…” Yet, I think there might be one slightly hidden example in John 8:6, where Jesus writes “with his finger on the ground.” It is during the scene where an anger mob is trying to stone a woman caught in adultery and get Jesus to sanction their action. He instead writes on the ground. 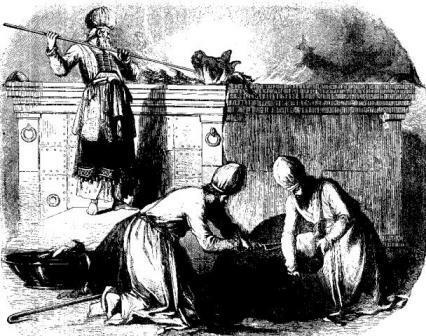 If the writing is anything like stone tablets or even worse, the cryptic phrase on Belshazzar’s wall, Jesus could be writing the condemnation of the woman’s accusers in the dirt. In sum, when the “finger” of God appears in the Bible, as opposed to his “hand” or “arm,” it seems to indicate the writing of God and therefore his intentions—whether in law, creation or judgment. 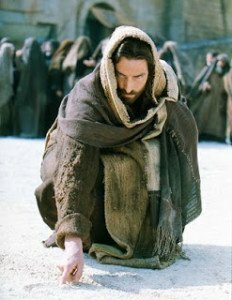 Jesus exemplifies this meaning when he writes with his finger in the dirt, perhaps listing off the sins of his opponents. This entry was posted in New Testament, Old Testament and tagged Exodus, Writing on June 6, 2017 by catholicbiblestudent. It is kind of a weird idea. I mean, how do you put salt on your speech? And if you could, what would that even mean? I know Jesus tells us “you are the salt of the earth” (Matt 5:13). He seems to mean that believers, disciples, make the world tasty to God. That is, the followers of Jesus enhance the world, make it better, spread the tastiness of the gospel and shed light through their preaching. Even then, he warns that salt can lose its flavor and be good for nothing (Mark 9:50||Luke 14:34). 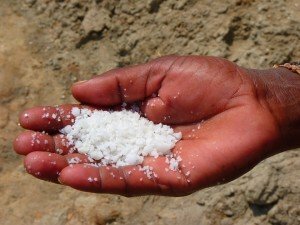 In both cases, Jesus and Paul, salt indicates the relation of the believer with the world–enhancing one’s conversation with the world or enhancing the world as a whole. It’s part of one of the few recipes in the Bible. This recipe is for the incense which will be used in the tabernacle and temple sanctuary. If Paul is alluding back to this Exodus recipe, what could he mean? Is he highlighting the sacred nature of Christian speech, that conversation with unbelievers takes on an almost prayerful/worshipful aspect, so much so as being similar to the holy incense offered in the temple? I think the point of Paul’s encouragement is relatively simple: that our spoken words be kind and Christlike, “in grace” and not in malice. 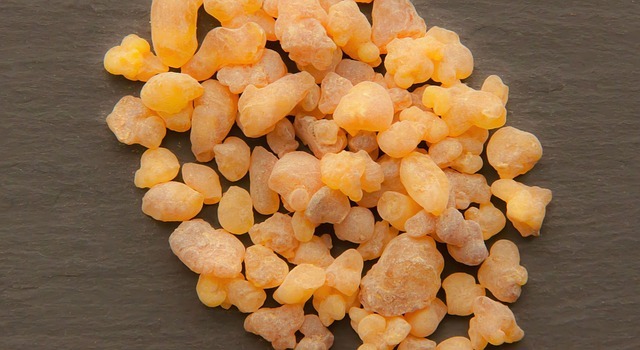 The connection with incense highlights the holiness, purity and God-directedness of our speech, but the connection with Jesus’ salt sayings, like “have salt in yourselves” (Luke 14:34), emphasizes the good effects our salty words can have in the world around us. This entry was posted in New Testament, Uncategorized and tagged Paul on March 22, 2017 by catholicbiblestudent. Maybe what we’re looking at here is that the man with the withered hand represents the whole people who truly have “forgotten Jerusalem.” They have not recognized the “time of their visitation” (see Luke 19:44). By restoring the man’s withered hand, Jesus shows how he will completely heal the people. Though they have forgotten him and the place of his dwelling (the Temple), God has not forgotten them, but will bring them to restoration. The man’s withered hand represents the fact that the self-deprecatory oaths that the exiles took have come home to haunt them. They have actually received the due punishment, but God will reach out to heal them and bring them back. Jesus will lead them on a new exodus and their self-cursed bodies will receive healing. This entry was posted in New Testament and tagged gospels on November 24, 2015 by catholicbiblestudent. Thank goodness, most of the time we Christians are not on trial. I suppose life can be an ongoing trial and we are tested daily by temptation, but rarely do we actually get dragged before a court of hostile judges who ask probing questions about our faith. It might be worth putting ourselves in the apostles’ shoes, er, sandals, to figure out how we would respond in that moment of true examination. This Sunday’s first reading picks up where we left off in the story of Acts. In chapter 3, Peter and John heal a man lame from birth in the name of Jesus. Afterwards, Peter gives a speech to the astounded witnesses of the miracle. What always gets me about this healing is that the lame man had been lying there all throughout the ministry of Jesus and yet had never received a healing. He might have witnessed Jesus healing others, but he kept lying there in his disabled state. Yet God picked the right moment for his healing and it was to be at the hands of the apostles. Most sermons end with the preacher sitting back down, but Peter’s incites the “priests and the captain of the temple and the Sadducees” to come and arrest him and John (Acts 4:1). You always know that a homily was worth listening to when the priest is arrested by the authorities at the end of it. However, you would think that healing a lame man would be a universally praiseworthy happening. Everyone should be happy about it, even the Jewish authorities. But the problem is what happened at the recent holiday gathering at Jerusalem—the chief priests, the Sanhedrin, had put Jesus on trial, accused him before Pilate, and brought about his crucifixion. Now that exact same group of Jewish leaders are after Peter and John, two of Jesus’ chief followers. Jesus was tried first by Annas, the former high priest who was father-in-law to the current high priest, Caiaphas. (Before and after Caiaphas, five of Annas’ sons also served as high priest.) Then Jesus was tried before Caiaphas and the whole Sanhedrin. When Peter and John are brought before the Sanhedrin, Annas and Caiaphas are there at the head of the judicial body. This group of mostly Sadducee leaders had given a death sentence to Jesus and leveraged their political influence with Pilate to see it through. At that time, John had snuck into Caiaphas’ house to watch the trial, while Peter skulked outside and infamously denied Jesus three times. The Sanhedrin is worried that the Christian “virus” is going to infect the people. In fact, Acts 4:4 tells us that by this point the number of Christians had grown to five thousand, up from three thousand at Pentecost (Acts 2:41). But there is also perhaps a twinge of regret in the question they ask, “By what power or by what name did you do this?” (Acts 4:7 RSV) They don’t directly attack the apostles for healing a lame man, unlike the unrelenting assault on Jesus for healing on the Sabbath, but they do want to know how the apostles have authority to heal. Whether the question is sincere or not does not matter too much, but Peter’s response does. Peter puts the problem starkly, “we are being examined today about a good deed done to a cripple, namely, by what means he was saved” (Act 4:9 NAB). Rather than objecting to the inquiry, he declares “that by the name of Jesus Christ of Nazareth, whom you crucified, whom God raised from the dead, by him this man is standing before you well” (4:10 RSV). Peter uses the same terminology for healing that Jesus does when he tells people he heals, “your faith has saved you” (Luke 7:50; Mark 5:34; Matt 9:22, etc.). This matches the idea of “salvation” just a couple verses later in Acts 4:12. Salvation here in the primary sense is physical healing, which can be expanded to indicate eternal salvation. Peter’s praise report about the man’s Jesus-centered healing also includes an indictment. He accuses the Sanhedrin of crucifying Jesus. Jesus had just told the Parable of the Wicked Tenants and the Sanhedrin members realize he is accusing them. Peter, before the Sanhedrin, likewise accuses them of being the imprudent builders who reject the most important stone. Not only is the Psalm Messiah-focused, but it also hints at resurrection: “I shall not die, but I shall live, and recount the deeds of the LORD” (Ps 118:17 RSV). Peter points to Jesus as the fulfillment of Psalm 118 and challenges the Sanhedrin for missing the Messiah’s moment and actually bringing about his death. This entry was posted in New Testament on April 25, 2015 by catholicbiblestudent. Over time, I’ve been doing a little series of posts on Aramaic in the New Testament. This is the sixth post. 18 (Now this man bought a field with the reward of his wickedness; and falling headlong he burst open in the middle and all his bowels gushed out. You can go look up the location, but basically it was and is a field of red clay dirt that was used by artisans in antiquity as a natural resource for making clay pots. In Matthew 27, 7, 10, the place is referred to as the “Potter’s Field” (Greek: τὸν ἀγρὸν τοῦ κεραμέως), hence the notion that the clay dirt was used for making clay pots. When it is called “field of blood” in Acts 1, the origin of the term might not be Judas’ suicide, but rather the red color of the dirt. 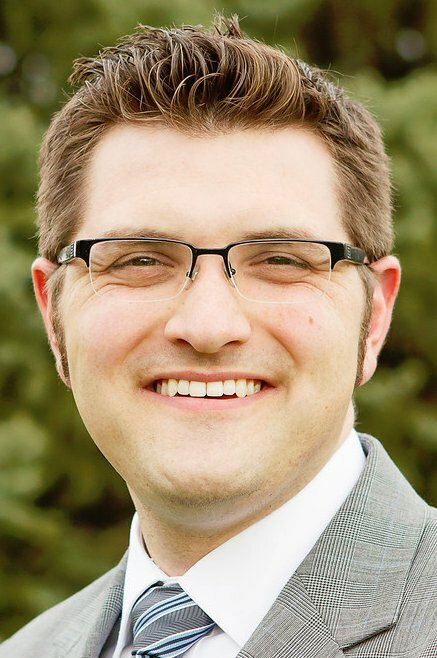 The other thing to say is that Matthew and Acts differ on who purchased the field. In Acts, Judas bought the field, but in Matthew 27:7, the priests who paid Judas to betray Jesus bought the field to bury him. Either way, the location is still around and orthodox Christians have built a monastery on the place creatively nicknamed “Aceldama Monastery.” The field has also been used as a burial place. The word “Akeldama” represents then, the construct chain חֲקָל דְּמָא (chaqal dema). In which the first word, chaqal is masculine singular construct and dema is masculine singular emphatic. 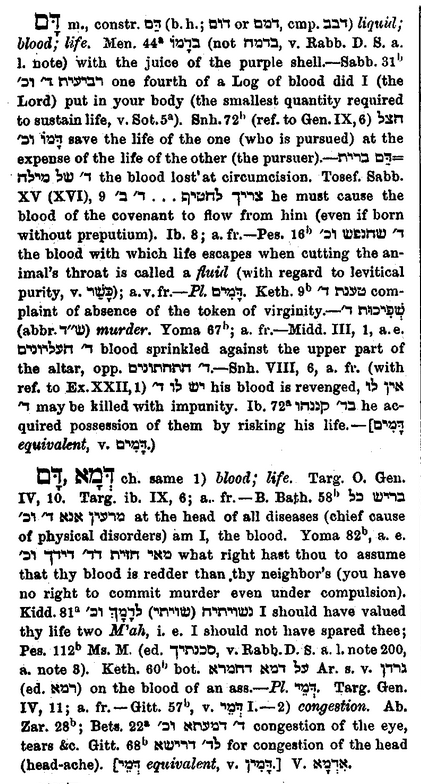 The construct chain is definite since it is a proper noun–like “the king of Persia” in Ezra 4:24–hence “the Field of (the) Blood” is the best translation. Note that Luke refers to “their own dialect” (ta idia dialekto auton), which indicates both he and his intended reader, Theophilus, are not part of the group of native Aramaic speakers, but native Greek speakers. This entry was posted in Aramaic, New Testament, Translation and tagged Aramaic, Greek, Text Criticism on January 16, 2015 by catholicbiblestudent. ὅπου οὐκ ἔνι Ἕλλην καὶ Ἰουδαῖος, περιτομὴ καὶ ἀκροβυστία, βάρβαρος, Σκύθης, δοῦλος, ἐλεύθερος, ἀλλὰ [τὰ] πάντα καὶ ἐν πᾶσιν Χριστός. Unfortunately, the very last part of the verse always sounds weird. I mean, “Christ is all”–what does that mean? The translations do not deviate much from this line. I’m sure that lots of translators have toiled over this verse, so I don’t mean to scoff at their hard work or claim any sort of omniscience. I merely want to make a suggestion. The copula, the verb of being, is absent in the Greek and therefore always inserted in the translations. Latin can follow the Greek without an “is”: “…sed omnia et in omnibus Christus.” If all I had was that snippet and no context, I’d be very tempted to translate either the Latin or Greek as “…but all and in all, Christ” or “…but all and Christ in all.” So, why not translate the verse that way? To me it seems that list of divisions Paul rattles off between Greek and Jew, slave and free and so one simply terminates at panta, all. Let’s try another sentence with the same structure to see if this could work: “Here there is no longer short and tall, big and small, serious and silly, but everybody and in everybody is ice cream.” Doesn’t it seem that the final term in my list, everybody, could function as the terminus of the list rather than as a predicate nominative of “ice cream”? “Everybody is ice cream” sounds strange. To me it seems that the drive to translate our phrase as “Christ is all and in all” comes from the context and the idea of putting on Christ and especially “Christ who is your life” in verse 4. But it really seems like an unnecessary stretch. Why does the adversative, alla, but, have to create a new independent clause, couldn’t it just be Paul’s way of punctuating the turning point in the comparison? : Before, we had all kinds of divisions that divided us, but now we are one. Lastly again, it comes back to trying to make sense of the “Christ is all” statement. What does that even mean? Paul is certainly not pantheist or something, so what could such a statement convey, that every Christian is in some mysterious way, Christ?? I’d prefer that Paul is simply saying in Christ, the divisions fall away and only “all/everybody” is left and in everybody dwells Christ. That seems to fit the grammatical demands and Paul’s theology. Inserting an “is” to me seems an overly creative translation twist. This entry was posted in New Testament, Translation and tagged Greek, Paul on October 22, 2014 by catholicbiblestudent. Does Lust Need a Purpose? However, a closer inspection of the Greek and the various translations reveals a difficulty. 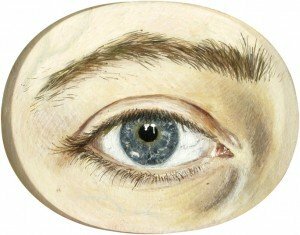 The Greek does not say “look at a woman with lust.” Rather, it says “…look at a woman in order to lust [after her]” or “…look at a woman for the purpose of lust.” In Greek grammar, this is what we call a purpose clause, indicated by the short words, pros to, plus an infinitive in the Greek. A good example is in Ephesians 6:11 – “Put on the full armor of God in order that you may be able to stand against the scheming of the devil” (my trans.). Notably, Fr. Zerwick relies a lot on what “one would expect.” The difference between the two translation options might seem inconsequential, but I think there’s an significant theological principle at stake. What’s important here from a moral theology perspective is intention. When this passage is translated based on a hypothetical Aramaic reconstruction, rather than on the actual Greek text, it sounds as if one can seriously sin by accident. The typical translation weakens the intentionality of the act being indicated by the Greek grammar, making lust sound like an almost unintentional part of “looking” since “with lust” (or in RSV “lustfully”) merely functions as an adverb modifying the verb “to look.” But if it is translated as a purpose clause, which follows the Greek grammar most closely, then the teaching indicates that a moral intention must be involved—a decision to look for the purpose of lust or in order to lust. You can’t sin by accident. Lust involves an intentional choice to commit evil, to violate God’s commandments. This entry was posted in Aramaic, New Testament, Translation, Uncategorized and tagged Aramaic on September 3, 2014 by catholicbiblestudent. What is “character” in Romans 5:4? This is one of those passages that could simply sound like a nice saying, rather than having theological meat on the bones. I was especially interested in what Paul means by “character.” What is that? The Greek word for character is dokime (δοκιμη). This word is related to a bunch of words all having to do with approval: dokimazo (to prove or scrutinize), dokeo (to think, suppose), dokimos (accepted). The word has to do with outside approval. Paul is not talking about self-esteem, but moral approval by others–I think we are safe to say, especially the moral approval of God. Notably Paul uses the word several other times: 2 Cor 2:9, 8:3, 9:13; Phil 2:22. He places an emphasis on this idea of testing or proving one’s character. For him, the true test of character is suffering. If a person can endure “affliction” or persecution or suffering for the sake of the Gospel and maintain their faithfulness to the truth, then they are “approved.” Interestingly, Liddell-Scott-Jones does not cite examples of this word prior to St. Paul. Perhaps it was a favorite of his. This whole concept reminds me of spy movies where a spy is captured and tortured for information. The heroic ones stick it out and keep their mouth shut, while the cowards cough up secrets before the pain is too much for them to bear. To me, this is why experience is so valuable. A person with great experience of life who has kept the faith stands as an example of proven character. Not all Christians will suffer at the hands of persecutors, but perseverance in the face of any suffering, whether through physical illness, moral trials or even emotional pain, can be an occasion for spiritual growth and growth in dokime. This entry was posted in New Testament, Translation and tagged Paul on July 16, 2014 by catholicbiblestudent.